New York, NY Meridian Capital Group arranged $11.5 million in financing for two mixed-use properties in the East Village neighborhood. The five-year cross-collateralized loan, provided by a balance sheet lender, features a rate of 3.76% and nine-months of interest-only payments. 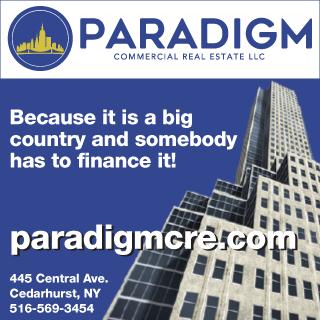 This transaction was negotiated by Meridian associate, Avi Gorbacz, who is based in the company’s NYC headquarters. The properties, located at 51 and 217 East Houston St., both are five-story, mixed-used buildings, consisting of eight units each. Both located in a East Village location, the buildings are close to restaurants, bars, cafes, retail brands, Whole Foods, The Bowery Electric, and museums and cultural institutions. Both properties are close to the B, D, F and M subway lines at the Broadway-Lafayette St. Station, the R and W lines at the Prince St. Station, the F and M subway lines at the Second Ave. Station, and the 6 subway line at the Spring St. Station. There are also numerous local and express bus stops within walking distance of the properties. “This transaction happened in tandem with an acquisition and obtaining a significant cash-out was critical to the success of both deals,” said Gorbacz. “Meridian negotiated nine months of interest-only payments to enhance cash flow as well as a favorable rate that will benefit the return on both pieces of the transaction."